New Zealand is full of scenic views, outstanding food, and adventure opportunities, but few places within the country are as spectacular and picturesque as the coastal town of Kaikoura. This stunning region boasts the chance for an array of adventures from on land to sea, or even just in the comfort of your hotel. Kaikoura’s distinct location within the region helps make it unique. The town is situated between the rugged Seaward Kaikoura Range and the Pacific Ocean. This balance between mountains and ocean creates an extraordinary opportunity to experience a marine safari. Witness vast amounts of marine mammals including a permanent population of bachelor sperm whales who call Kaikoura home. If you are looking to stay on land, Kaikoura offers many beautiful trials from easy walks to difficult hikes. Want to take it a step further? See the region from a new perspective with a helicopter tour. 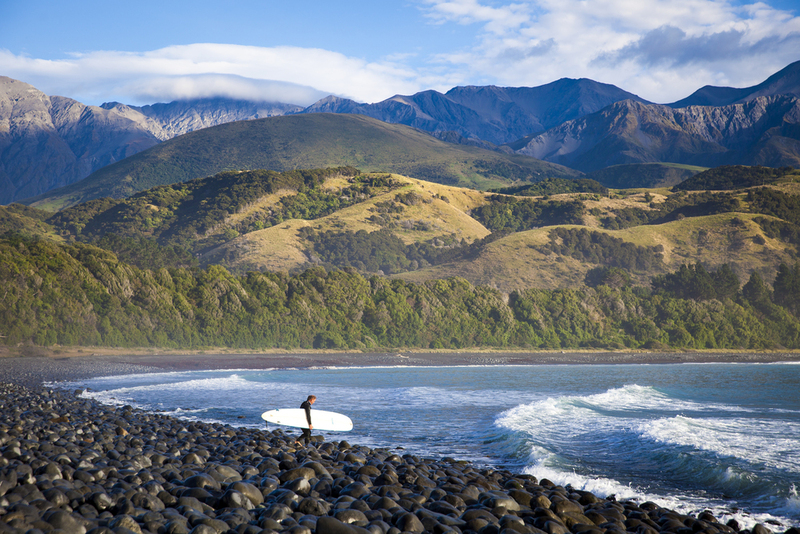 No matter how you like to explore, Kaikoura has an adventure for everyone. When in Kaikoura, the Hapuku Lodge and Tree Houses is the place to stay. The lodge shares the property with a deer stud and olive grove while overlooking Mangamaunu Bay. Hapuku Lodge and Tree Houses features four luxury suites, the Olive House suite and five luxury Tree Houses. The Tree House options are built in the canopy of the native Manuka grove and offer 180 degrees of uninterrupted views. Hapuku Lodge has fabulous hosts just waiting to help you experience the wonders of Kaikoura. Spend your time at the lodge and help pick olives, take a picnic excursion, or sit by the fire and take in the views. If you are looking for more adventure take surfing lessons or go on whale watching tour. No matter what interest you, Kaikoura has it. In addition to the breathtaking location and marine life, Kaikoura is known for its food. The Hapuku Lodge and Tree Houses offers a warm and inviting dining room. In the dining room, guests can watch and chat with the Executive Chef as their food is made in front of them. All food served at the Lodge is fresh, uncomplicated and flavorful. A full cooked breakfast and three course dinner is included in all room rates. 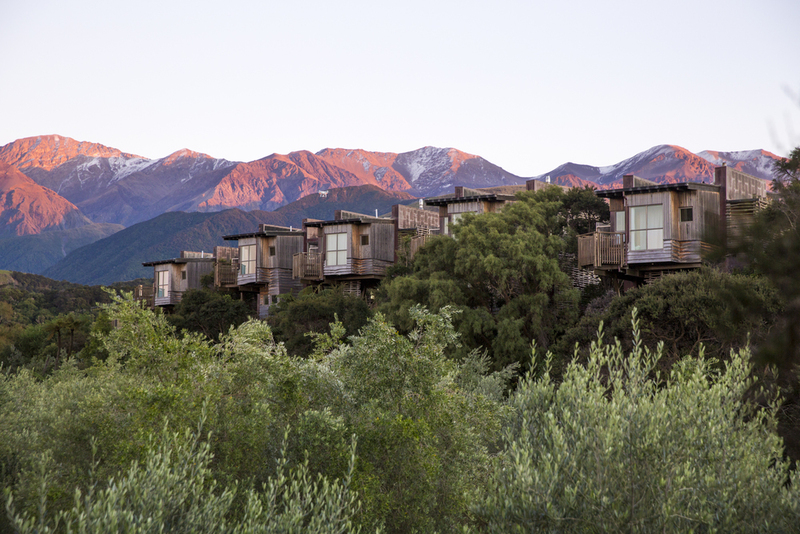 The Hapuku Lodge and Tree Houses, Kaikoura should be the next stop on your travel wish list! Thank you to Hapuku Lodge for all images. Thanks for all your expertise and planning a wonderful trip for us. Every driver was waiting, every airline transfer was perfect, every day and night brought us new delights. We certainly could not have done this trip without you!